Videos from this meet courtesy of Rob Mackey here. Cate Ratliff wins, nearly tying Anna Maxwell's CR from two years ago. Aptos wins as a team by 15 points over Santa Cruz. Really not a whole lot that was unexpected here, although both Aptos and Santa Cruz look very strong, with both going into CCS as favorites for their respective divisions. On the boys' side, Luke McCartney of Scotts Valley beat teammate John Ross for the title, running the fastest time for Pinto Lake of the last 6 years or so. 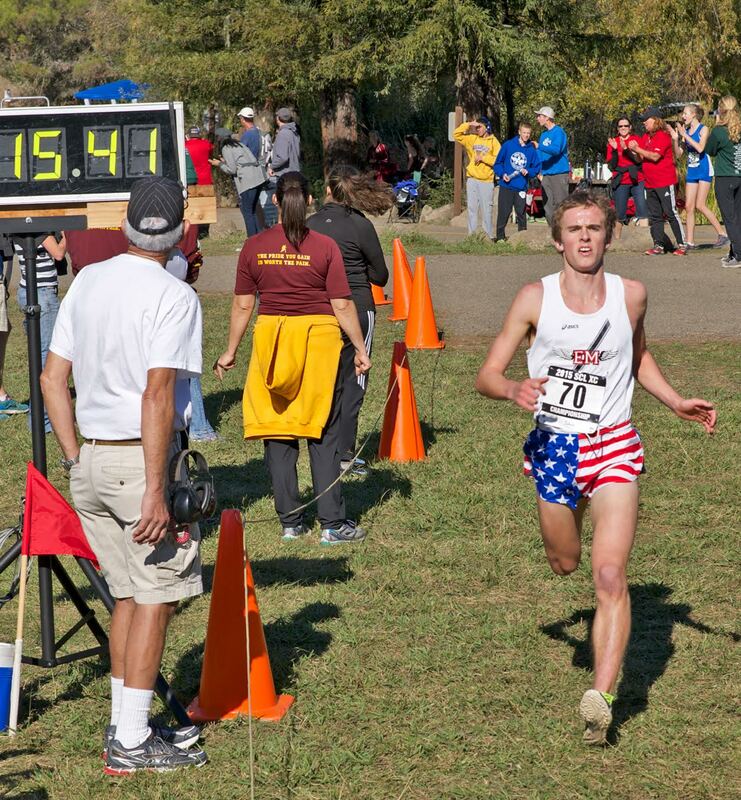 Mitch Moriarty was probably the last to run faster than 15:18 on Pinto, even though its a short and fast course. Impressive nonetheless. SLV showed pretty strong depth through their top 3 with a talented front runner in Freshman Chris Anderson. 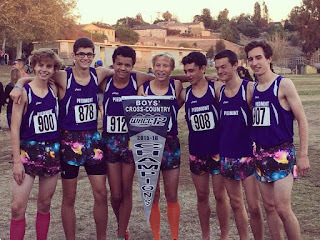 A very young team that I believe will be a state podium threat this time next year, as they graduate none of their top 5. Unfortunately for St. Francis (DV of Watsonville) they were not able to put together the upset, but remain the favorites for the DV CCS title. Very strong showing through their top 3-4 runners. Again, both teams are most likely favorites in their respective divisions. 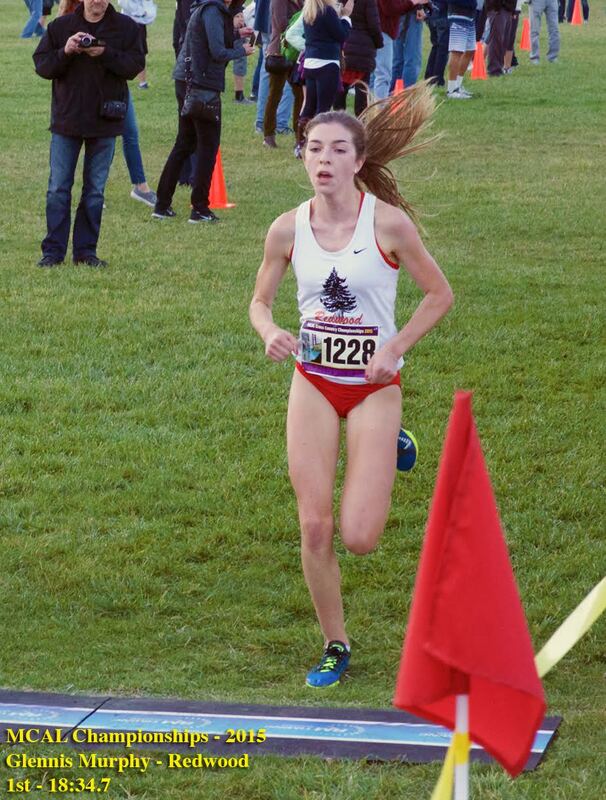 The times this year were pretty fast on both sides, as the girls competition is truly legendary in depth while the boys see a very high standard for top 10 finishers. Over the last 4 years, the 10th time in the league finals has dropped by about a minute, and its still a very young league. Or that is a very good league with some very fast girls. You will see at NCS. CONGRATS to SJND's VB and VG teams for winning the TCAL League Championships spearheaded by Cooper Teare and Kiera Marshall who also set new course records, respectively!! They all have to run the same course and it couldn't be any easier than all of these ones I see in Southern California, where the kids are running down a bike a path or a sidewalk. 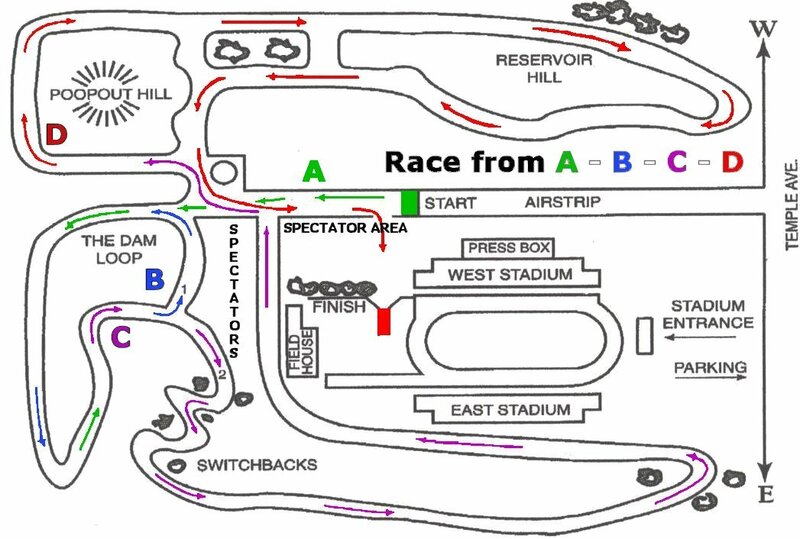 We are heading out to Frogtown tomorrow for the SJS sub-sections which has got a couple of quad burning hills, always a fun day at the races. 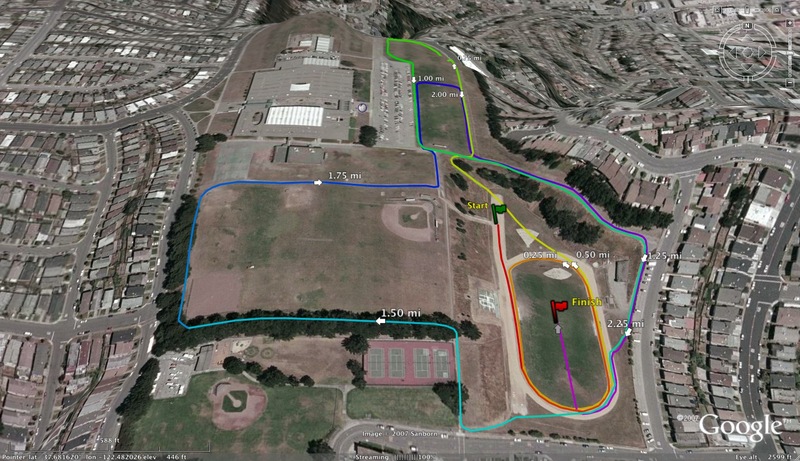 Was BCL West at Golden Gate Park at 5k or 3 miles? 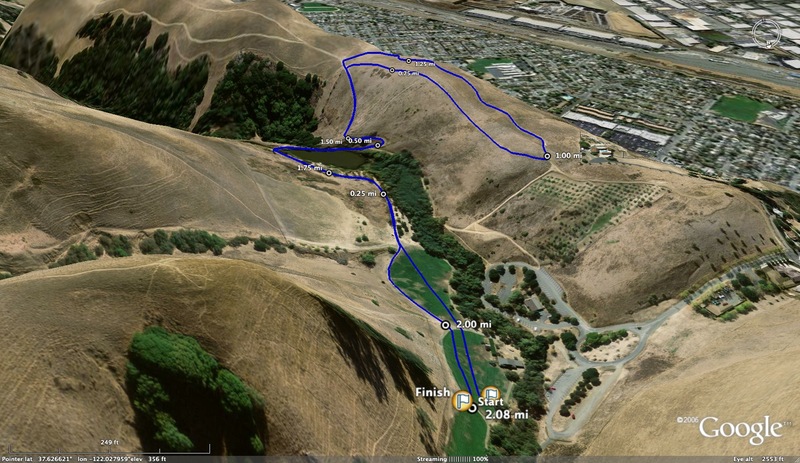 The Shadow Cliffs course is 2.95. I have time comparisons for a couple of the key courses. 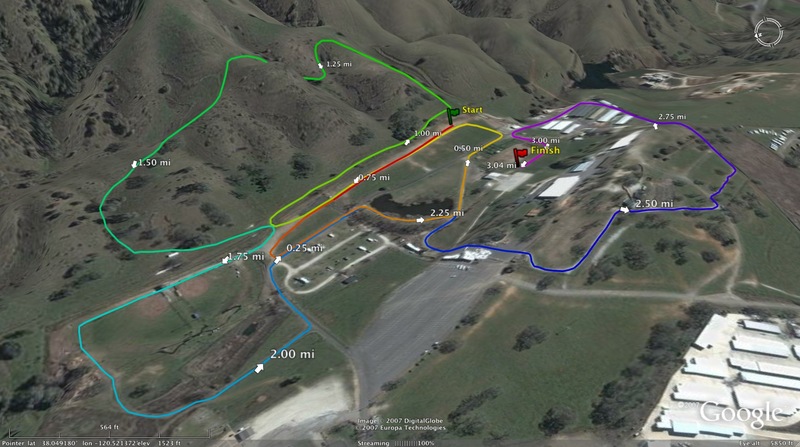 Shadow Cliffs typically runs about 5 seconds SLOWER than the Hayward NCS course. But race conditions are the dominant factor. 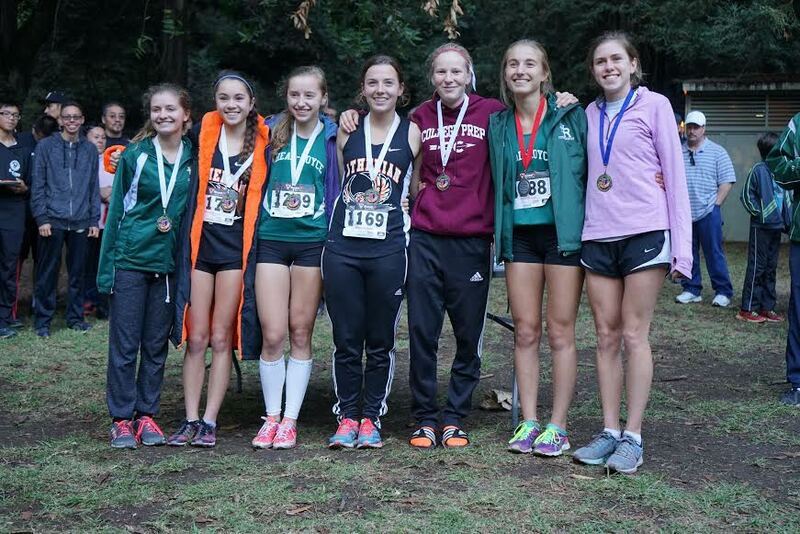 Conditions were perfect for the EBAL champs and the course was in great shape for running. 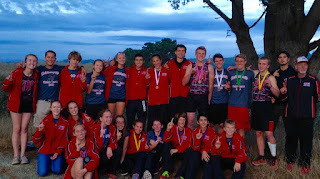 Can someone tell me how times get posted on Ath.net and Milesplit? Neither contain many of the league finals, making it difficult to figure out the current team and individual rankings going into sectionals. Is it up to the meet organizer to submit or do the sites go out and find the results to post? If the former, is there any reason a meet organizer would not want to post their league final results? 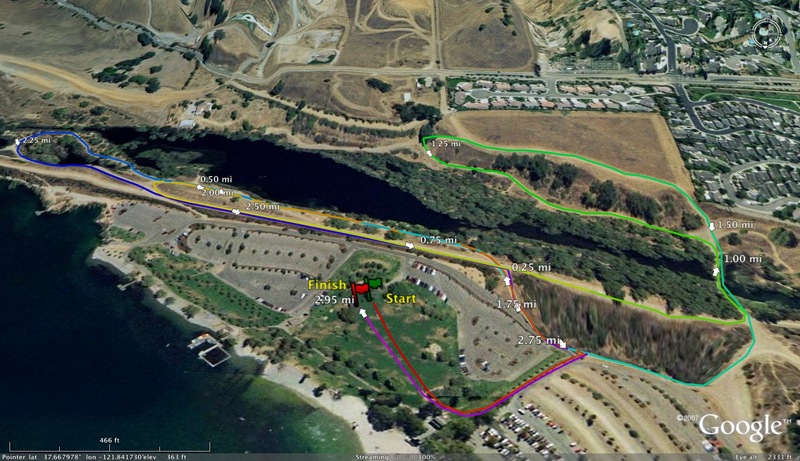 WACC (Hayward) and DFAL (Hidden Valley Park) racing today. Looks like supreme weather again. 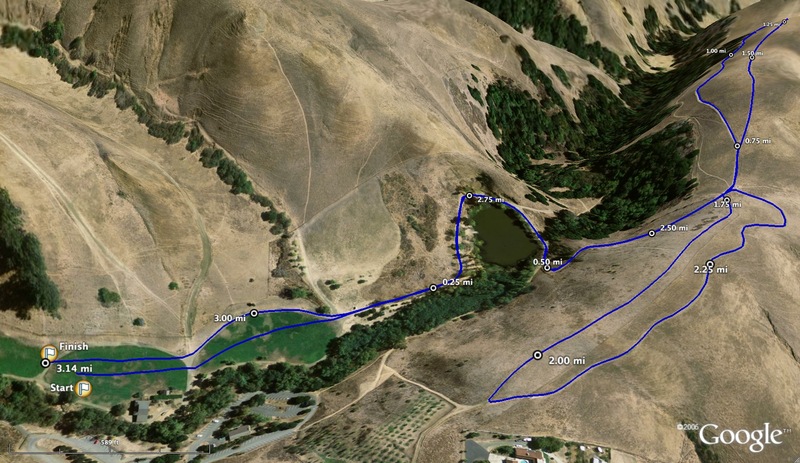 Shadow Cliffs is 2.95 miles. It's been wheel measured many times and the course has not changed. That being said, yesterday's EBAL results are indicative of how GOOD Monte Vista, Granada, San Ramon and the other local girls teams are. 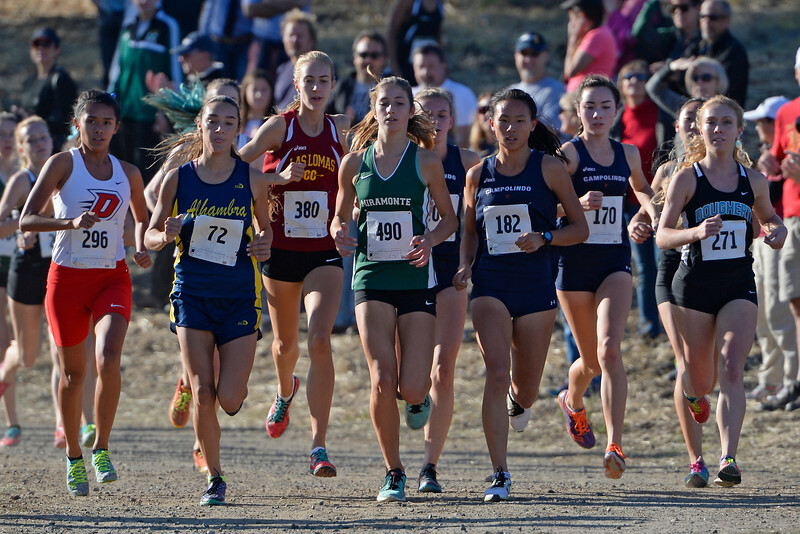 All three teams are likely headed to the state meet and both MV and Granada have shots at being podium teams--they're that good. 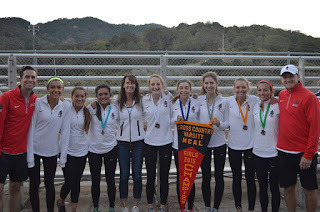 Also, all three of those girls teams shattered the all-time team time record for the course that was held by Campolindo's 2014 team, which no one seems to have a problem believing was a great team (they finished 2nd at state meet last year). Campo's team time and previous course record was 91:39. SRV was 3rd in 91:05, Granada 2nd in 89:10 and MV ran a truly amazing 88:58 for an average of 17:48 per runner! Hats off to not only these programs for consistently producing great teams and nurturing top athletes, but all the local programs for raising the bar. 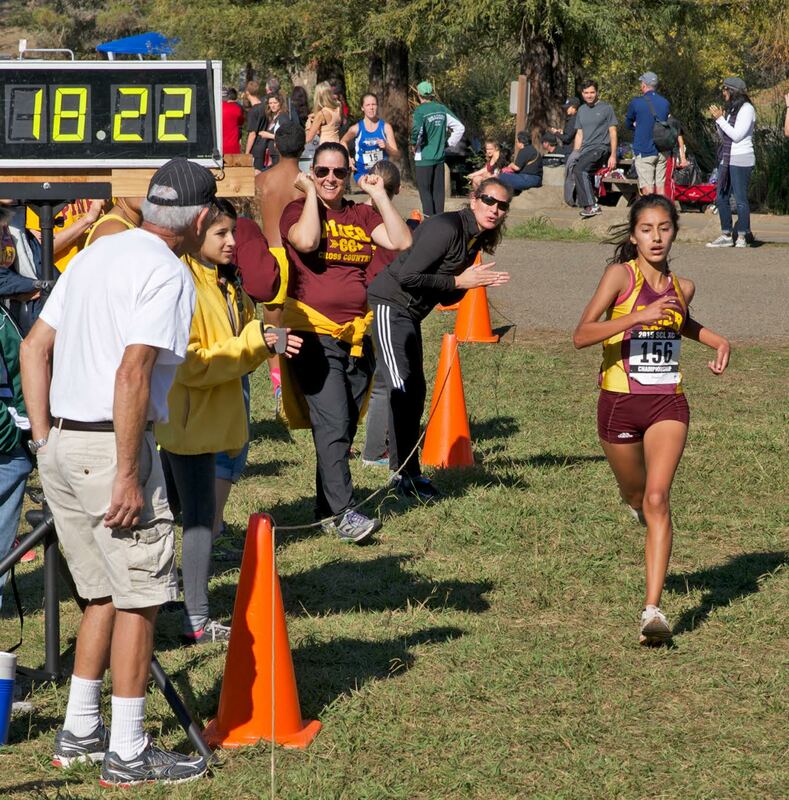 Hats off too to Megan McCandless (Granada) and Brooke Starn (MV) who finished finished 1-2, in 16:30.9 and 16:50.6, both under the previous course record of 16:57.7 that was held by Amador's Jena Pianin. I can speak for milesplit and yes, meet directors need to send in the results to them. I try to forward all the results I find to them. I am certain that is the same process for athletic.net although I believe people can enter results directly on that site. On athletic.net, your team account must be a site supporter in order to upload meet results. Not every team that hosts meets is a site supporter. But it is up to the teams/coaches to upload those results even if they are a site supporter. On athletic.net, several timing services (SJS-CA, AdkinsTrakWest, FordTiming) have site supporting accounts so they can upload meet results as well. 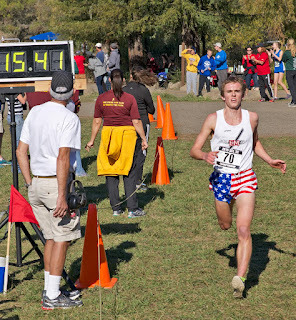 Bay Valley finals were very exciting, as it was the first time in a while where the top three boys finishers ran under 17 minutes on the tough hilly course. I believe there are about 11 people to have broken 17 minutes on the course including this year. Albert, can you send the WCAL and other league finals to Milesplit and have them upload. It is very difficult to go back and forth between the individual results to figure out who is doing what in the CCS. There were so many great races that changed the section this week. MS has such great sorting capabilities but it only works when the leagues put in the current info. Also, Paly is D1 this year but shows as D2 on MS. That is messing up the results. There are also a bunch of guys shown on the SF team that don't go to that school. They show as having raced at Woodbride but SF did not go to that meet. 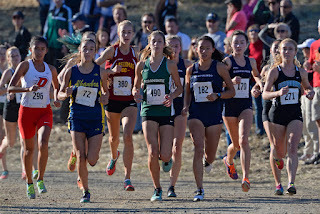 The WCAL meet is uploaded on milesplit. If you have any results that are missing on MS, please send them to David Everett at david.everett@flosports.tv. He can add any results to the MS database very quickly. I fixed Palo Alto. They are now listed correctly as a Division I school. The St. Francis issue is common as there are several St. Francis schools in CA. If you tell me the names that don't belong with the St. Francis team, I can get that fixed. 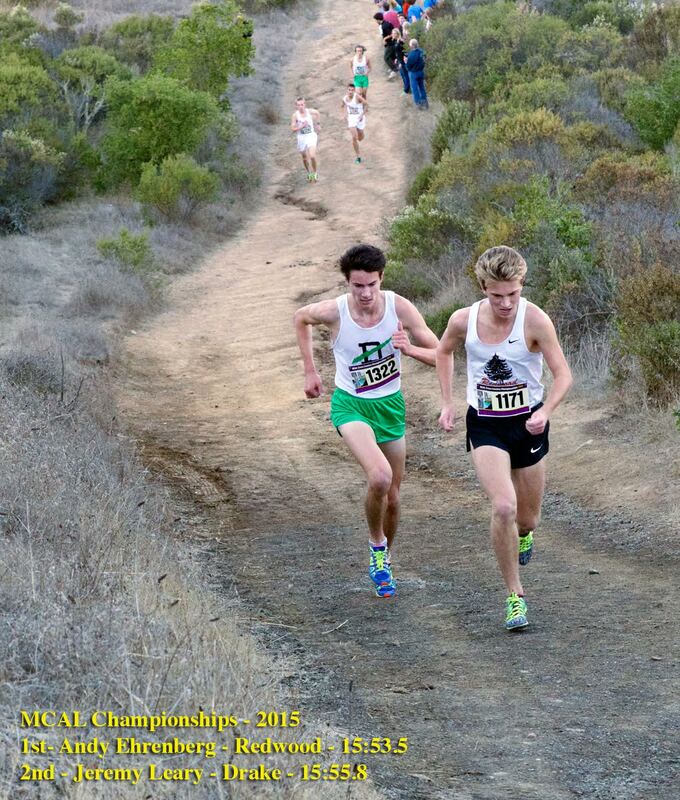 Commenting on the EBAL race, we ran the same course that the league has always run. 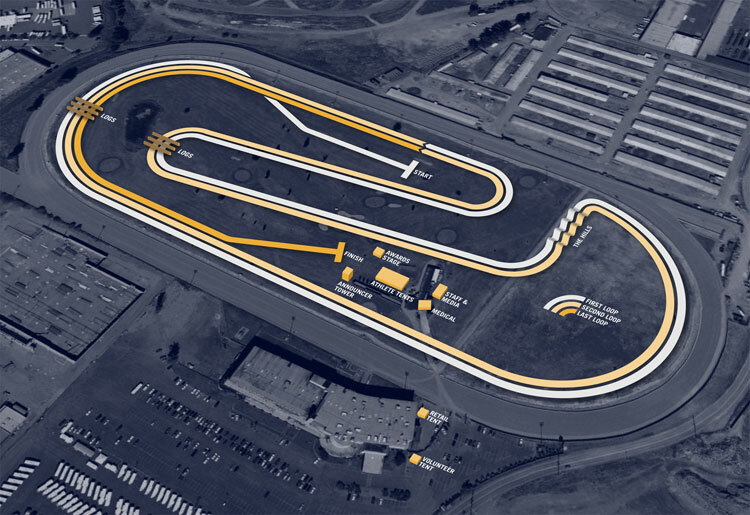 I have measured that course between 2.95 and 2.97 every time I have measured it, but I haven't measured it in the last few years, but I am confident that the distance hasn't changed. We have set markings for the start/finish line, so those pieces are not variable as well as where we set the flagging for the borders. 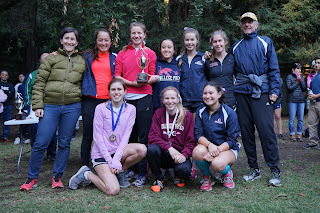 The year that Jena ran 16:58 (the old course record), she went on to finish 3rd at the state meet in Division 1 behind Sarah Baxter and Hagen Reedy (both very good runners). I have always contended that her run at Shadow Cliffs was her best race of the season (not that it would have been good enough to beat either Reedy or Baxter, but I thought it was a better run). It think yesterday's conditions were a little bit better than what Jena had as she ran in a light rain and some breeze, where yesterday was dry, still, and cool. 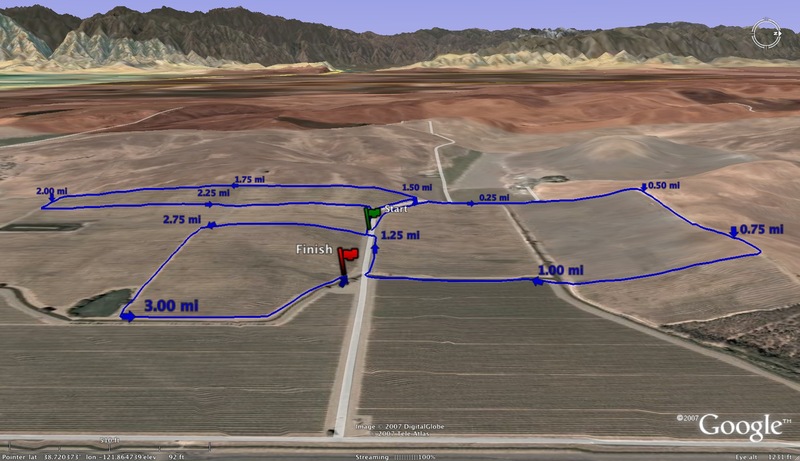 I also think that the course is a little bit faster at the start and finish because just like at Hayward, all the grass is dead on the field and athletes are now running across dirt (at Shadow Cliffs that field is only about 150m though). Still, Megan's run was the best that that course had ever seen from a girl. It is far superior to Jena's mark, much as it pains me to type it. Megan would have finished 26th in the boys' varsity race and the boys' varsity race featured several teams who will have good opportunities to qualify for the state meet in a couple of weeks. Remember that Brooke Starn recently ran 16:55 at Mt. SAC, so on a flatter course with a slightly longer distance, it should not be a surprise that she can run a comparable time (16:51). Also, if you look at the boys' times, where they were good, they were not historically good. 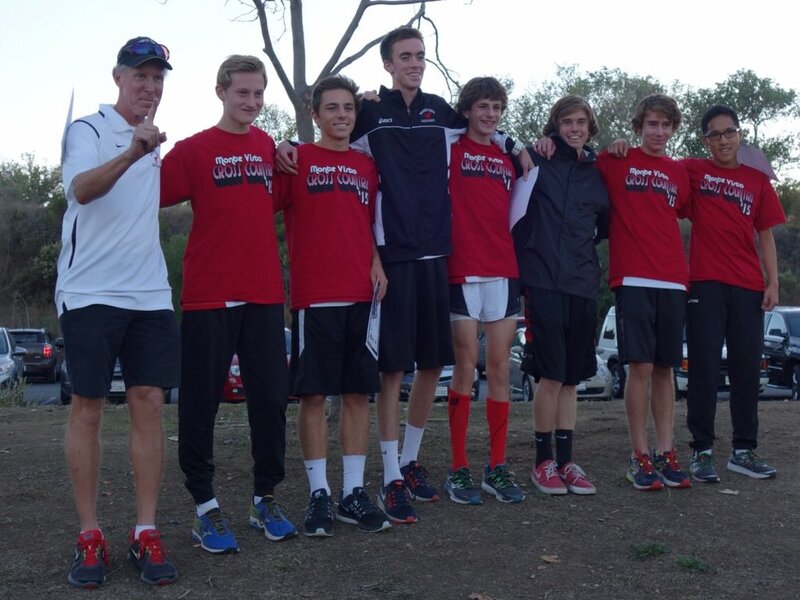 Monte Vista ran the #2 team time of all time, which is great, but Granada's run only came in at #24 and no one else was even close. Amador Valley, who I coach, got 3rd in the race and didn't even crack the school's top 10 team times on the course. Our girls ended up with the #25 team time on the course and got crushed. Heck, SRV ran the third best time in history and were beaten fairly soundly. They are good teams. Where my numbers are similar to Kevin McCarthy's, I don't agree that Shadow Cliffs is slower than Hayward. It has been tough to compare in the last few years because of different weather at both parks, but generally, I think if both courses have ideal conditions, Shadow Cliffs is 5-10 seconds faster than Hayward. Not a huge difference, but different none the less. If it rains again though, none of that will matter. We'll all just splash our way to the finish. Similarly to Milesplit, Athletic.net has not changed divisions for any of the NCS teams that were reassigned a division this year. Divisional changes have to be done manually. I checked them on milesplit but if you find any errors, please let me know and I can fix those. Thank you Albert. There are several guys that are incorrect but the only one that factors in the 3-mile for SF is Rodrigue, Christian. Fixed. That runner runs for St. Francis La Canada. I will post PAL results as soon as I get them. SCCAL Results are on Lynbook Site. I emailed the timer. Should get them shortly. You don't have to be a Site Supporter in order to upload results to Athletic.net. That being said, if you are a SS then the results get uploaded usually within the day, otherwise it can take as much as a week. SS folks get priority. Albert, FYI. The SJS sub-sections results you've posted... 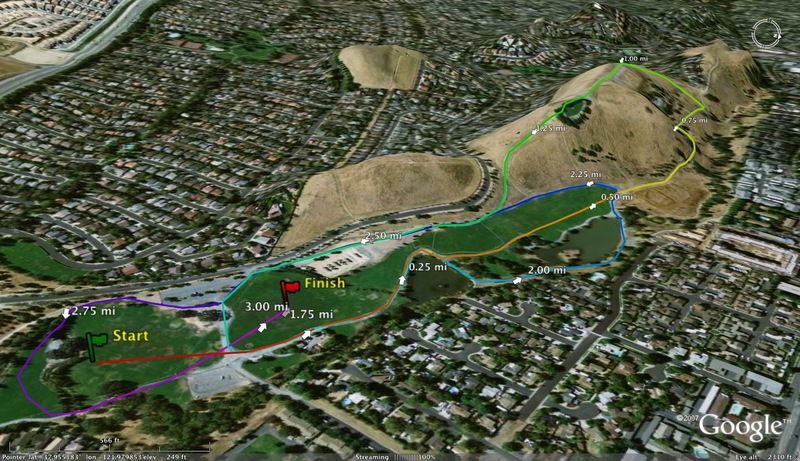 The course was Frogtown in Angel's Camp, not Willow Hills. Looks like the league finals results, while posted at MS, have not hit the participants' personal stats pages making it hard to rank the kids for section finals. Does that happen on its own or does someone have to load those on the individual stats pages? Here is the response from MS. The results have to be processed before showing on profiles. Catching up today! Great. If you haven't tried the Milesplit site yet it is definitely worth paying the relatively small price for a incredible amount of data and superior sorting ability. Looking forward to breaking down CCS by division. How deep are you planning to go with your NCS rankings? I am working on the NCS preview article as we speak. I will list as many state meet contenders as possible for both teams and individuals. For D3: Riordan, Saratoga, or Valley Christian? Based on league final performances, Saratoga will be the favorite going into Saturday. Saratoga has been up and down but has a top front runner and so has to be the favorite. What happened with their girls? They were good then it kind of unraveled. 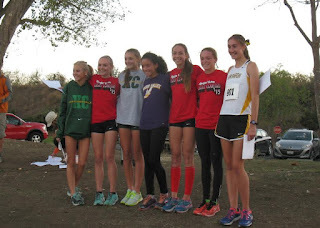 No invitationalse, only one race for their top freshman. Anyone know what happened? Interesting SJS sub-sections. In the D1 Varsity Boys, Davis ran one of their varsity runners down at JV and had Vernau and Borowosky take out quick, but nobody bit. The top teams pack ran and safely qualified for sections. Interesting to see if anybody can challenge Davis and Jesuit for a D1 spot to the State meet, but seems to be a significant drop off after those two. Vernau would have to be the favorite for individual title, but wouldn't count out Grijalva or even Kurdy whose best race is ahead of him. In the D1 girls Davis sat out O'Keeffe again, I can't even remember the last time she raced, was it Stanford? She clearly is the class of the section, but her goals obviously go beyond that. Will be interesting to see if the lack of racing helps or hurts when it comes to state and NXN. The SJS section schedule also has D1 and D2 running in the afternoon, so if the weather doesn't stay cool, could impact any run at records. 10:52 PM Rio Americano only ran 6 varsity runners, so they can add their #2 if he is not hurt. I have noticed that some teams are injury prone at this time of the year. They push and push to get in the best possible shape for post season. It's a fine line between pushing hard and too much. And not to start a private/public debate again, but I attended a Parochial Athletic League XC meet today and the winner of the race ran the 1.5 mile course at 5:23 pace, in the rain and SHE is in 8th grade. Okay you went there and now you will be punished. Of course she ran well. She was recruited to a private school where she will be really good until she isn't, because she will not be gritty and blue collar, at which time she will be beaten by the public school kids that work much harder and want it more. Seriously, why was there a school event on Sunday. I thought that was not allowed. Are you sure it wasn't a club event. In which case it probably was run by an evil private school coach who whispers sweet nothings in kids ears to lure them away from their rightful place in the local public school, only to be so mediocre that nobody will hear from them again? Or did she run unattached? This is important stuff to know before we start bashing the 8th grade girl. There is no rule about practicing or racing on Sundays for middle school athletes. Only CIF and high school students. @1:56 It will be between Riordan and Saratoga, and it will be very close. 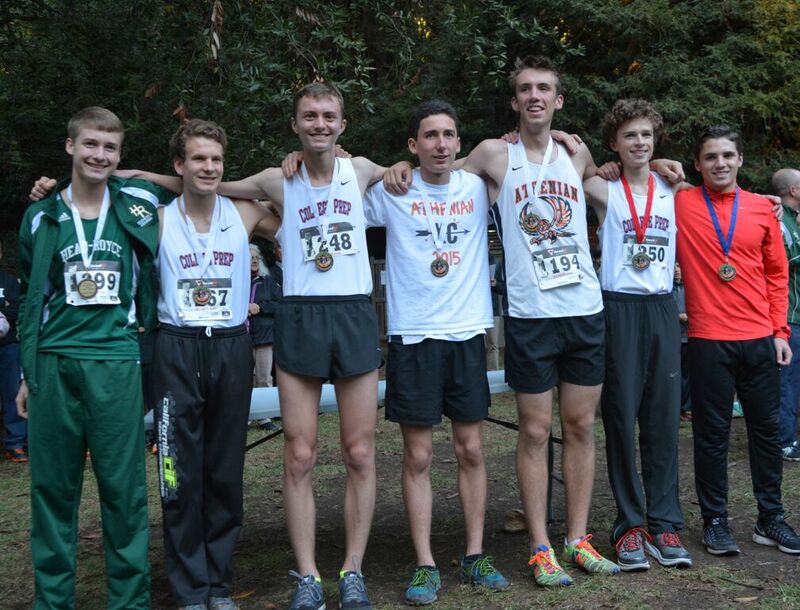 Saratoga had the better league finals race, but Riordan has been more consistent. You also cannot count out Valley Christian as well, since their #3 had a bad race, but so did Riordan's #4. Okay, then she will have to be bashed. 5:36, we need the girl's name, current school, and address so we can figure out what public school has been aggrieved. Once we get that info, we will move the discussion to the PvsP blog where she, her parents, the coach, and anyone else involved in her decision to go to private school will be bashed for simultaneously taking such a great talent away from her rightful school, and also dooming her chance for greatness. Anyone know how the TCAL times at Pt. Pinole translate to Hayward? 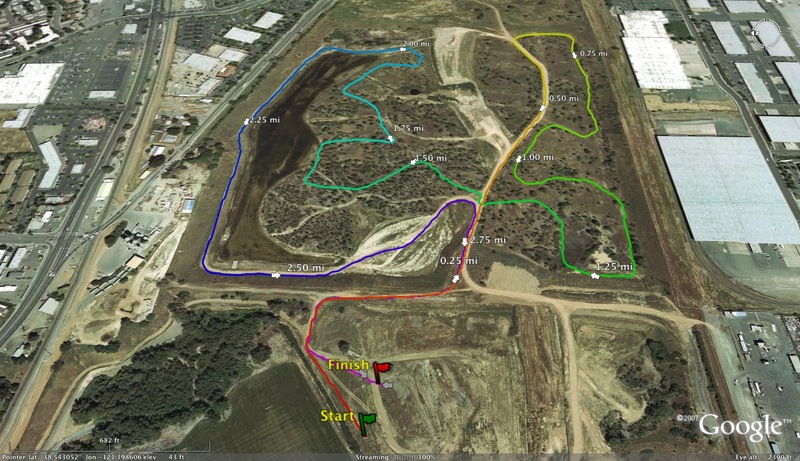 I have been told that course runs very similar to Hayward, possibly 5-10 seconds faster. How about Pinto? Is that faster than CS, and by how much? 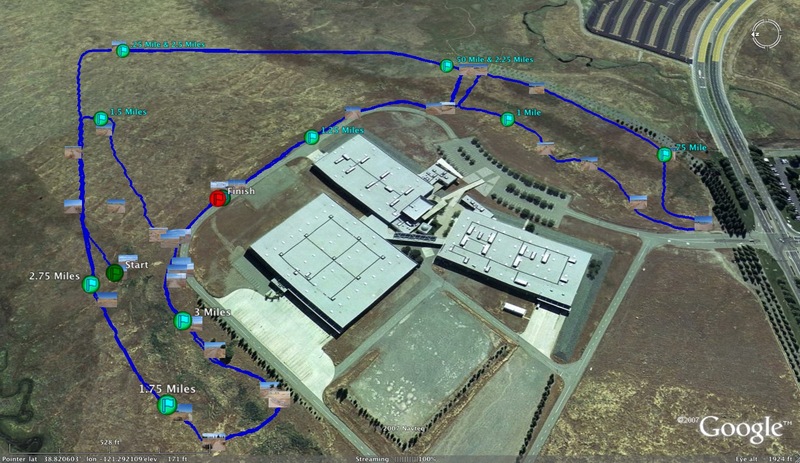 Actually Pinto's time are very close to Crystal springs in past. 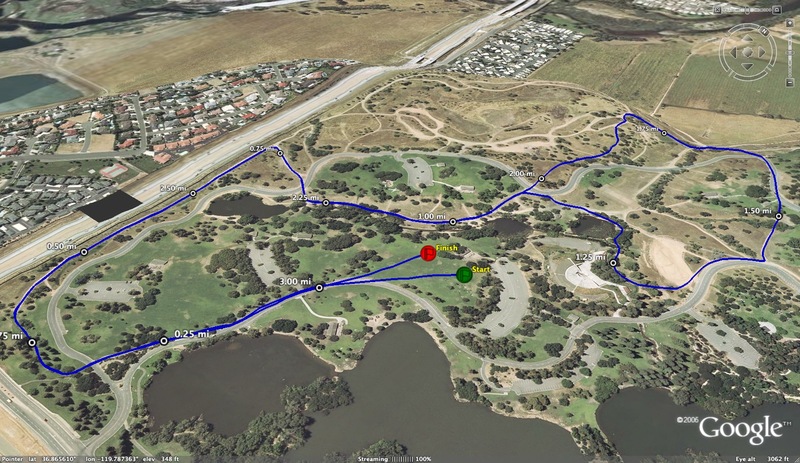 Plus course converter on Lynbrook site has times close to. 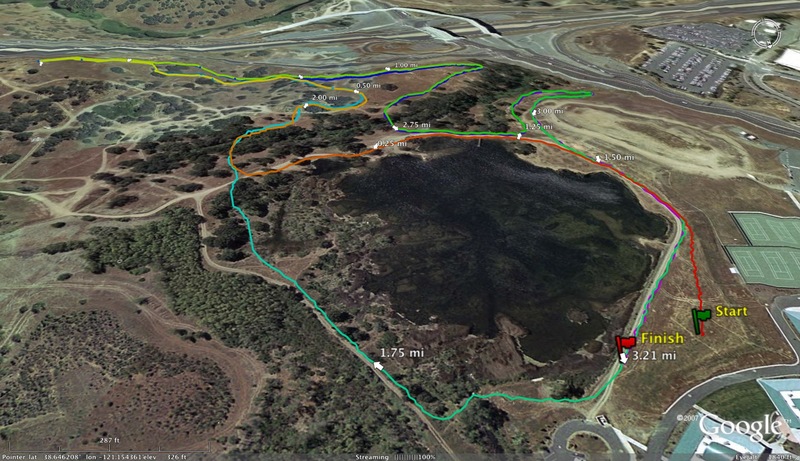 Pinto Lake is about 35 seconds faster than Crystal Springs according to Walt. I used 30 seconds for the Virtual Combined League Meet for Pinto to Crystal. 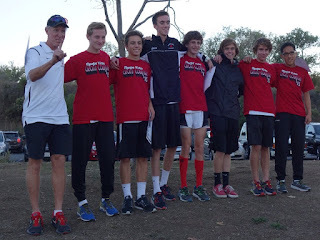 Congratulations to Zach Connolly of Redwood Christian in BCL East Champs as he ran 14:02 to take out fellow Redwood Christian Josh McDonald's record of 14:04 from 2009.